Well, it's that time of year. Starbucks' "red" cup time that is. 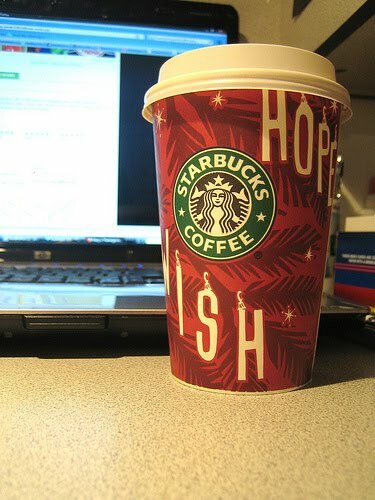 I usually love red cup time, however, this year the cups are a little drab. The cups aren’t actually the color drab (which was coincidentally the color of my graduation tassel - Go Concordia Chicago School of Business! ), but rather a Falu red (I did not just hold my two day old empty Starbucks cup up to the screen to match it to the Wikipedia red color wheel). The cups this year aren’t really that red at all. Please tell me how the previous years’ venetian red cups did not embrace all walks of life? 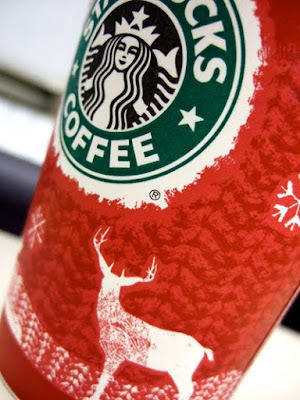 They included a nice little winter scene full of wild life around the bottom of the cup with snowflakes flying all around. This year is a drab Falu red Christmas tree with word ornaments hanging around. If anything this year’s cup does not embrace the Jewish faith while last year’s left no room for complaints. Except from maybe those who live in a place where it doesn’t snow.